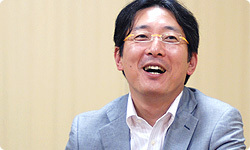 In today’s session of “Iwata Asks”, we will discuss Wii Party with two developers from Nd Cube1, as well as Nintendo’s staff in charge of production. Would you each please introduce yourself? 1Nd Cube Co., Ltd: Established in the year 2000. 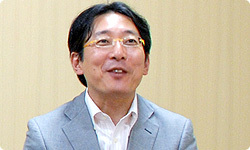 A video game software developer which is 96% owned by Nintendo as of August 2010. While their headquarters are in Tokyo, their satellite office is located in Sapporo city, the prefectural capital of Hokkaido, the northernmost prefecture of Japan. 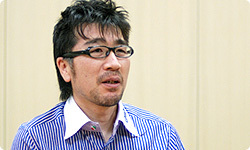 I’m Ikeda, a member of the board at Nd Cube. I was producer for Wii Party. I’m Nishiya from Nd Cube. 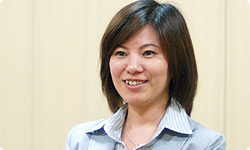 I’m the head of the Engineering and Development Department in Sapporo city. As director of Wii Party, I was in charge of pulling everything together. I’m Hirose from Production Group No.4 in the Software Planning & Development Department. As associate producer, I was Nd Cube’s contact person, working with them on a wide variety of matters right down to the smallest details. From small things to big things. I’m Sato, also from Production Group No.4 of the Software Planning & Development Department. Just like Ikeda-san at Nd Cube, I served as producer on this project. 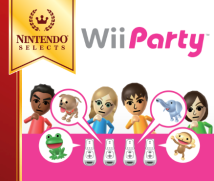 Together with the rest of the staff, I put forth ideas for what kind of product Wii Party should be. You have all been working together for a long time, right? Yes. More than ten years. Nishiya and I used to work at Hudson.2 We first worked together with Nintendo on the first Mario Party .3 2Hudson: A video game company established in 1973. 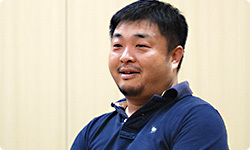 Hudson has developed and released such titles as the Bomberman and Momotaro Dentetsu series, and also participated in development of the Mario Party series ever since its inception. Its headquarters are in Tokyo. 3Mario Party: A party game released for the Nintendo 64 console in March 1999 in Europe. Ikeda-san, you’ve worked on Mario Party ever since the first one. The series really piled up, and the next thing I knew, there were eight instalments. Right, it was eight for home consoles. We also made some for the Game Boy Advance and the Nintendo DS.4 4Mario Party Advance was released in June 2005 and Mario Party DS in November 2007 in Europe. In other words, a total of ten games. Did you work on all of them? Yes. The first Mario Party came out in 1998. Development began in 1996. At the time, I was product manager. With one thing after another, 14 years have passed. Nishiya-san, have you been involved ever since the start, too? No, I started with Mario Party 2 .5 I was on a different project team when they made the first one, but I thought it looked really fun. It wasn’t long before it came time to make the second one, and I thought, “Let me join!” 5Mario Party 2: A party game released for the Nintendo 64 system in October 2000 in Europe. Yeah. I was still young at the time, and I’ve worked on the series ever since. What were you doing at that time, Sato-san? I was serving as contact person for other companies working on Nintendo software, and that led to me working on Mario Party. At first, it was just in my capacity as a contact person, but I gradually came to work on the contents of the game as well. When did you become involved, Hirose-san? With Mario Party 3 .6 I was originally in a different department than development, but suddenly jumped into it without knowing my left from right when it came to making video games. I must have been a big headache for everyone, but I’ve been involved in it ever since. 6Mario Party 3: A party game released in November 2001 in Europe for the Nintendo 64. So that’s how you’ve all been involved with the Mario Party series since early on. This game has always been packed full of new minigames and has traditionally come out as a holiday title every year. What has been the secret to bringing out new instalments in such a steady stream? (laughs) Speaking as one of the developers, I’d say we had a lot of ideas for minigames. We didn’t use them all up at once, but said, “Let’s use that idea next time,” and kept a stock of ideas. I suppose you were able to do that so efficiently because Mario Party is the perfect kind of game for cranking out one after the next. I do suppose it is structured just right for really churning out new ones. And, like Nishiya said, we would come up with hundreds of minigame ideas, and then pick out the ones that were right at any given time and use the others next time. I think continually doing that was the secret. But still, you came out with them three years in a row for the Nintendo 64, took a year off, and then came out with one title a year for four years for the Nintendo GameCube. You really were making one almost every year. Why didn’t the pace drop off? A big factor was that every time one came out, new people would join the team - like I did. Oh. When new people join, they bring new ideas with them. But even with so many people joining, didn’t you ever feel like you had fallen into a rut, making one almost every year like that? At each juncture, in order to avoid a rut, we were trying to make big changes, like not using dice, and coming up with different rules. But if you don’t use dice, then some might say it’s not Mario Party. In other words, you placed importance on familiarity and comfort and didn’t change the basic concept, but you added in something new each time so it wouldn’t feel like the same old thing. What has been important to you, as video game developers, as you made this series? A game anyone can play along with others. Yes. If someone like me who isn’t good at video games joined and then kept losing, it wouldn’t be any fun. But when even I can win sometimes, it’s a lot of fun. I gave a lot of consideration to creating just the right balance in that regard. For example, even if you lose, you might think, “Maybe next time I’ll win!” or “I wanna play again!” We wanted a game that you would play over and over again. One thing we put effort into was making a game that would be fair for everyone, so that when family members play together, parents won’t have to lose on purpose for their children to win. There is an element of chance, so one good player won’t win all the time. How about you, Sato-san? Compared to other games, I think Mario Party is distinctive in how it is fun to look at. It’s fun enough when a bunch of something is coming toward you and you’re running along trying to avoid it, but we tried to make the game fun to look at by having that something be penguins, for example. We paid attention to such details, like how things start to shake when you jump on top of a square. It’s a kind of fun that adults have a tendency to forget, but I think it’s something the staff hasn’t forgotten while making these games. Ikeda-san, is that something you paid a lot of attention to? Yes. We tried to be conscious of how players would be surprised, when they would feel happy, and what they would say when they played this game.